Are you looking for the right advisor to help you achieve a comfortable retirement? You deserve help from a knowledgeable, client-minded financial professional. Consulting with an independent, Safe Money Approved Advisor could make a real difference in your retirement lifestyle. When you work with an Independent, Safe Money Approved Advisor, you can be confident you’re partnering with a true professional. They have a proven record of integrity, expertise, knowledge, and an unwavering commitment to your retirement success. 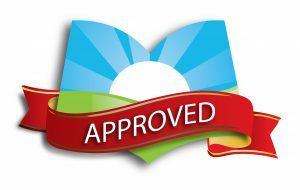 What Does It Mean to Be Safe Money Approved? Independent, Safe Money Approved Advisors are committed to the highest ethical standards. They don’t just say it, they live it. Utmost integrity, individualized service, responsibility, and an unyielding “client first” philosophy are definitive hallmarks of their practices. They’re independent, licensed, and experienced. The main focus of my business is to look out for the best interest of my client instead of my own interest. I practice my business with integrity, knowledge, and respect. I am open to learning new strategies in order to better my clients’ financial position. One of my main goals is to educate and promote “Individual Empowerment” through education. Clearly disclose all policies, guarantees, and procedures that bear on a customer’s decision to buy. Why Should Your Advisor Be Safe Money Approved? For independent advisors, there are many challenges in today’s marketplace, especially when it comes to establishing trust and credibility. The well-known captive insurance companies and banks are aggressively marketing, advertising, and branding their captive agencies. It makes it difficult for independent advisors to establish the same credibility and relationships. Call us at 800.790.7791 for immediate assistance. Are you running your practice efficiently? Are you willing to answer the questions of the consumer honestly and with full disclosure? Do you practice your business under the guidelines of integrity, knowledge, and ethics? Do you have systems in place to follow up, follow through, and help people plan their retirements correctly? You may qualify, pending an interview. As a Safe Money Approved, Qualified Independent Advisor Partner you will receive all of our superior back-office support, advanced case design, and annuity & life insurance product analysis from 40+ independent insurance carriers. Advisors – Don’t be fooled by the Safe Money imitators! There is only one way for your practice to be Safe Money Approved. If you would like to learn how you and your agency can qualify, call to schedule an interview or reach out to us at brent@safemoneyresource.com. Safe Money Resource (SMR) is the most non-biased & transparent Insurance Marketing Organization for financial professionals and their clients nationwide. 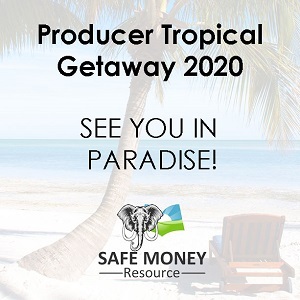 THIS JUST IN: Producer Tropical Getaway 2020! Introducing AssessBEST – The Industry-Leading Suitability & DOL Compliance Software System! Designed by Safe Money Broadcasting. Copyright © 2019 Safe Money Resource, Inc. All Rights Reserved.